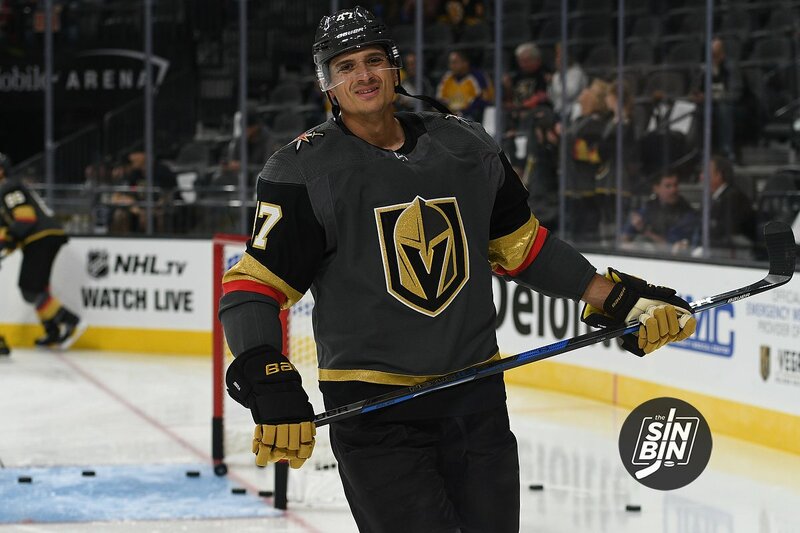 According to a report out of Switzerland, Golden Knights defenseman Luca Sbisa will be out for the next 6-8 weeks after playing in just one game since returning from an ankle injury that kept him out the previous nine games. The report indicates Sbisa tore a ligament in his left hand and had to undergo surgery to repair it. Sbisa was in a fight with John Hayden early in the 2nd period of Friday’s game in Chicago. During a majority of the fight Sbisa’s left hand is used to clutch Hayden’s jersey. Following the five minutes in the penalty box, Sbisa did return to the ice to play three more shifts concluding the 2nd period. He did not return to the game in the 3rd and did not play in the Golden Knights last game against the New York Rangers. The 6-8 week timeline would have Sbisa out until at least the middle of February. Expect a combination of Jon Merrill and Brad Hunt to fill in during his absense. The Golden Knights have yet to place Sbisa on IR officially and have not yet confirmed nor denied the Swiss report. This article will be updated when they do. UPDATE: The Golden Knights have sent out a press release confirming the news. I’d like to hear the tales on the pro fighting contingent on this one. Not only did it prove nothing, it nearly cost the Knights the game and Sbisa is out 2 months. Would have been nice to have all six denfensemen when Subban had an off night. It would have been a loss if Crowford was in net and not Glass with his horrific rebound control.